Tesla is working to enable functionality in its mobile app that will allow owners to request service directly from the app with just a few taps vs having to call the service center and be placed on an inevitable hold. The new functionality will come in an update to the app in a few weeks, according to Tesla CEO Elon Musk, and represents the next step in the continuous improvement that Tesla strives for in the ever-changing landscape of its growing owner base. Until this service update arrives, we have fart mode. The sharp uptick in demand for service stems from Tesla’s rapid rise in sales of the lower-priced Tesla Model 3, resulting in both an entirely new category of owners and a large spike in the number of owners needing service. Service is an area where Tesla has struggled to be consistent over the last few years. 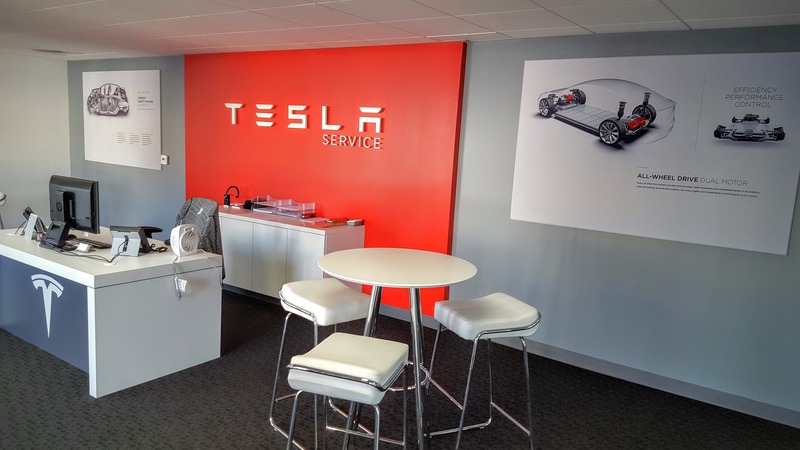 Early on, owners experienced issues getting their vehicles serviced and Tesla responded by putting Jerome Guillen in charge of service, where he straightened things out. The impressive service I experienced with our Model S a few years back when we had to have the door handles replaced left me strangely wanting more (if you can imagine that). Fast forward to today and Tesla is struggling to ramp up its service operations after deliveries of over 100,000 Model 3s and ahead of another 100,000+ Model 3s, which will surely come before the end of 2019. This is understandably causing issues on the supply side (with parts) and on the service side (with owners). It is challenging to get a read on the scale of the problem, but there seems to be a consistent flow of long, drawn-out service times, with most of that spent waiting for parts. Tesla has shifted its focus to smoothing out the bumps that surfaced with the increase in Model 3 deliveries and has since added in-house body shop capability to a few select metro areas. Elon Musk said that the push was an effort to turn around service requests as fast as possible for owners. The software update comes onto the horizon as Tesla continues to plow more functionality into its vehicles and the mobile app that supports them. 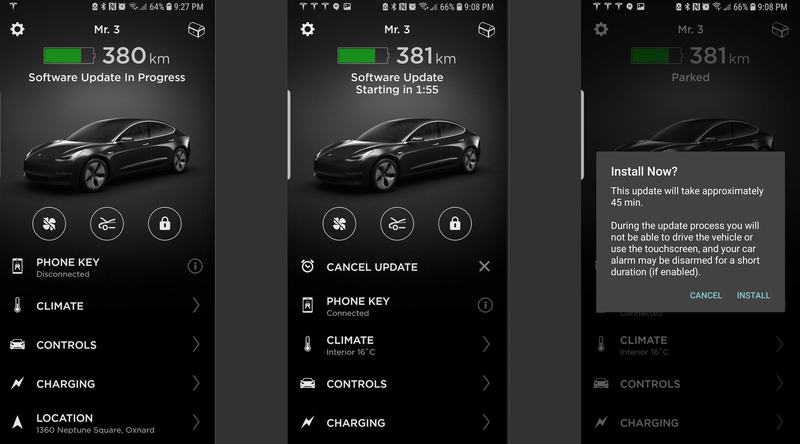 In the most recent update, Tesla enabled functionality that lets owners start and monitor software updates from their phones. Can’t complain about being able to start an update from the comfort of my couch and monitor the status remotely.